يضمن فندق Edgeley Bed & Breakfast الذي رمم في 2011 لزائريه قضاء وقت ممتع في هذه المدينة الخلابة سواء جاؤوا في رحلة عمل أو سياحة. يقع مركز المدينة المثير على بعد 6.5 km فقط. يضفي محيط الفندق اللطيف وقربه من أكثر المعالم السياحية جذبًا سحرًا خاصًا على هذا الفندق. يقدم Edgeley Bed & Breakfast خدمات لا غبار عليها وكل أشكال اللياقة وحسن الضيافة اللازمة لإسعاد ضيوفه. يقدم هذا الفندق العديد من الخدمات الكفيلة بإرضاء أكثر الضيوف تطلباً. لقد جهزت هذه الإقامة الفندقية بعناية فائقة لتوفر مستوى عالي من الراحة. في بعض الغرف يجد النزيل تلفزيون بشاشة مسطحة, اتصال لاسلكي بشبكة الإنترنت (مجاني), غرف لغير المدخنين, تدفئة, مكتب. يقدم الفندق مجموعة واسعة من وسائل الراحة المتنوعة، كمثل: مسار جولف - ضمن 3 كم, حديقة. مهما كانت دواعي سفرك فإن Edgeley Bed & Breakfast هو خيار ممتاز لإقامتك في المدينة. Hosts were very down to earth and accommodating. The finishings in our room were antiques in exceptional condition. The bed was so comfortable and breakfast was superb! 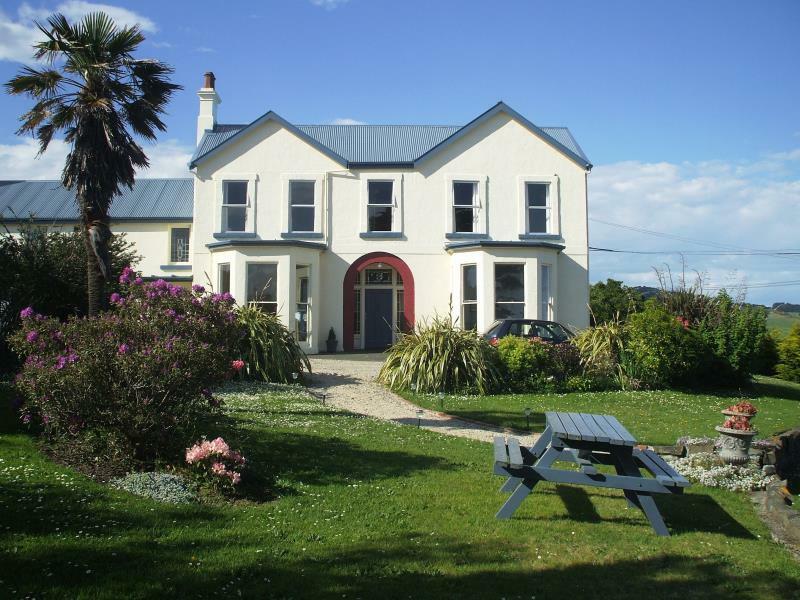 Fabulous views of wild coastline, excellent host, and steps from Otago Peninsula. Really enjoyed our stay. Thank Jason! We were never told during booking about shared bathroom .and owner just asked us to leave and didn't let us check in .also haven't got my money back . Agoda also not attending call .never book this property . Jason and his wife are very helpfull and friendly. The room at the frontside was very beautiful and clean. The breakfast was superb. You have many different choices and they are personally prepared for you. With the car its about 10 a 15 min drive to city centre and 30 minutes to the Peninsula. The view from the room is gorgeous! Unfortunately we never got to stay - due to a bereavement the owner had to cancel our booking however he booked alternative accommodation for us and paid the difference. We have no complaints other than we never got to stay there. The owner was so kind and hospital. We had very good time. Thanks so much for making a beautiful memory during our honeymoon. Owner Tracy is a very warm and friendly lady. She makes great breakfast. Our best experience in NZ this week. Very welcoming hosts. Very comfortable room. Great breakfasts"
Great time at edgley would definitely go again. 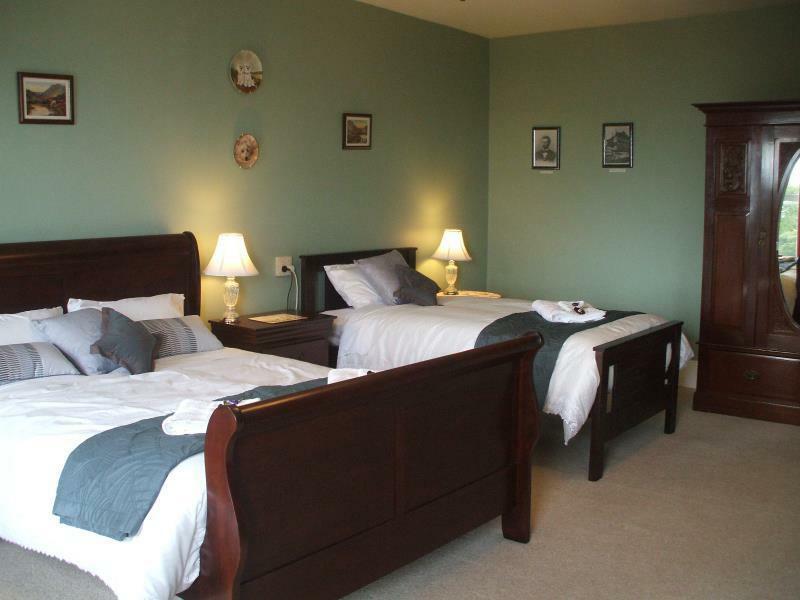 Janet and Alan make you feel very welcome rooms comfortable and breakfast was anything you desired.. Fabulous!! Great views from the room we stayed (Emery), and was quite large. Janet and Alan are both very friendly and helpful. We stayed 1 night. Room was large, comfortable and had great views. 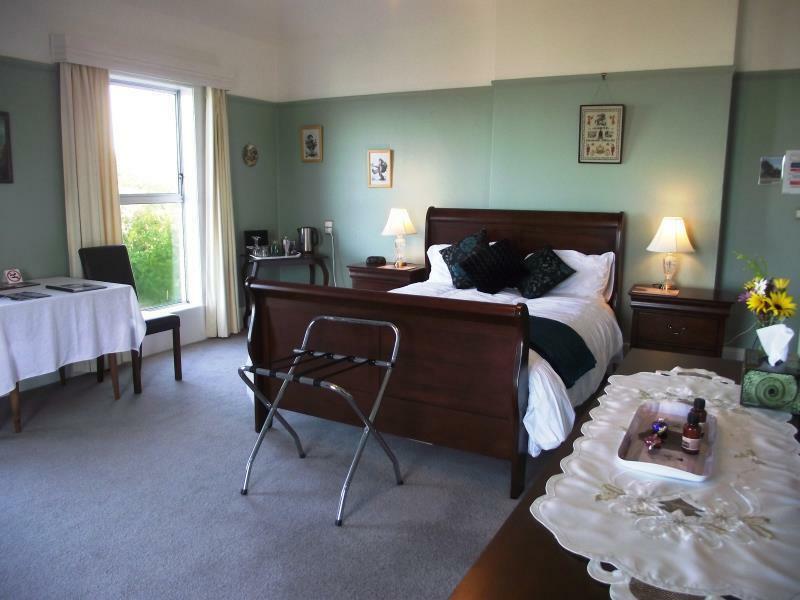 Location is away from Dunedin town centre, which has its pros and cons. On the downside, far from conveniences and stores. On the upside, it is quiet and conducive for rest. The house is atop a ridgeline, with unblocked views of the ocean. We had a rental car so it was all good for us. As per Janet's suggestion, we took a beautiful drive on Highcliff road which follows the ridgeline affording views of the ocean and the bay to Allans Beach Reserve. Breakfast was very good as well. On hindsight, we should have stayed a 2nd night as we were hard pressed for time to see the rest of the sights around Dunedin before driving to christchurch. clean and comfortable room with good facilities, yummy and abundant food for breakfast, esp bacon. We enjoy living there. The owners, the location and views from the room. Superb! The friendliness, interest in history and local knowledge of the owners, Janet and Alan, made this the most-memorable accommodation of our 2 weeks on the South Island - wish we had been able to stay longer. We were encouraged in every way (including the suggestion to relax with an evening pizza in the guest lounge) to feel totally comfortable as if in our own home, and no request seemed too much trouble. A "delight" that we hope to return to with more time in the future.